If you want to be a great candidate, then you need to have great preparation. Preparation is the number one thing that will set you apart from other candidates. Research everything you can about the company. You want to know about the place you’re going to work not just so that you sound intelligent in the interview, but so that you can figure out if it’s a place that you actually want to work at. Get to know someone on the inside. Employees can give you an idea of what the job is like and can help you determine if this is a place you would like to work at. “During the interview, make sure you have strong eye contact” senior Cassidy Johnson says. Johnson has perfected the job interviewing process by landing three jobs. Now that you know some of the best techniques, you can go out and hopefully get any summer time job you want. Mother’s Day is May 11, which means it’s just around the corner. There can be a lot of stress trying to find the perfect gift for your mom or grandma. But have no fear. Here are a few easy ideas that you can do to make this Mother’s Day fantastic! One thing you can do to start Mother’s Day off well is breakfast in bed. Something easy and delicious is pancakes. Who wouldn’t love being surprised with breakfast in the morning? Another idea is going to the store and getting flowers and planting them in the yard. Everyone loves flowers, but they don’t last very long – they live for a week then die. This way, you can still buy your mom something beautiful but it will last for years. Whatever you choose to do for Mother’s Day, make sure it is something special that you put effort into! There is a unique sound to the state. It is embedded in the hills, the valleys and the history of the commonwealth. Bluegrass music: what do you think of it? Unfortunately, this dying genre of music is all too often cast into a stereotype of “hillbilly” music. Now-a-days, it is almost outrageous the notion of someone our age listening to, and enjoying, bluegrass music. It is too “old-time,” it is too “country”… Yet there is so much more to this genre than meets the ear. Bluegrass music was popularized by Kentucky’s own Bill Monroe (“The Father of Bluegrass”). In the early 1950s, Monroe and his Bluegrass Boys began to play this “new” style of music on the Grand Ole Opry in Nashville, Tenn., and soon after, the genre attracted a diverse following throughout the country. 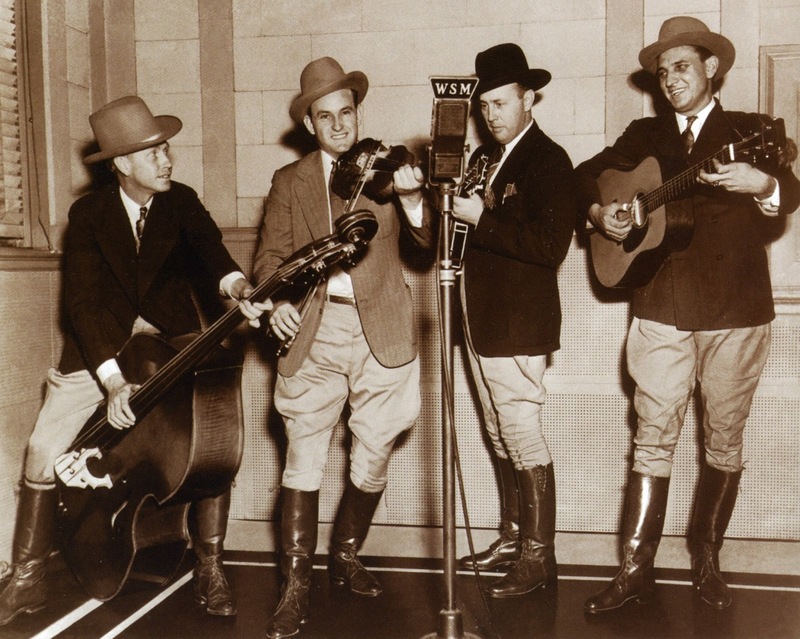 Soon after its propagation into the Opry music scene of the 1950s, artists such as Lester Flatt and Earl Scruggs, the Stanley Brothers, the Osborne Brothers and Jessamine County’s very own J.D. Crowe began to break off and mix in their own sound. Today, contemporary bluegrass artists such as Allison Krauss and Ricky Skaggs still produce music and carry on the age-old tradition. Though you may think of just a “dumb hillbilly” pickin’ away at this style, there proves to be a lot more depth and complexity to the style. The main instruments -banjo, guitar, flat-steel guitar, upright bass, mandolin, fiddle – are all extremely challenging instruments to master. The upbeat and quick timing, characteristic to the genre, can exemplify the extreme talent one must possess to play this type of music. So why not give it a try? You never know what you might enjoy listening to. Take to Youtube, look up some the bluegrass pioneers: Bill Monroe, Flatt and Scruggs, the Stanley Brothers, or even more contemporary artists Ricky Skaggs or Allison Krauss. Listening to this beautiful, upbeat music will not be met with disappointment. There is much more substance to it than what the teen generation listens to today. The instrumentation is not a simple computer-generated beat (rap music) nor is it perfectly engineered to maximize your listening experience. The beauty of bluegrass lies in its raw, pure nature. What you hear is what you would hear if you heard it live. Furthermore, bluegrass that isn’t simply instrumental carries a lot more meaning in its lyrics than does, for example, rap music. It tells a story; it is an anthology of the history of Appalachia. I believe it is our duty as Kentuckians to be informed on such a pure and native music. It is scary to see the rate at which such a long tradition is declining and the ignorance people have towards the genre. White sand beaches, gorgeous blue skies and salty ocean air surround you. You relish in the lush paradise, thankful for the long break away from reality. Lounging on your pink polka dot towel, you feel the beams of sun warming up your body. All you hear is the sound of seagulls carelessly flying above you and water crashing against the rocks on shore. You have no worries and no commitments. All of a sudden, the ocean fades away and you’re jolted with the sound of your name. You open your eyes and see your math teacher looking at you from across the room, waiting for the answer to the problem on the board. If you’re one of these people daydreaming about spring break, you’re not alone. Many people have been planning their breaks since winter. Maybe they’re planning a ski trip to Colorado or heading up north. However, most teenagers travel to a sunny state because they’re tired of the cold, dreary Kentucky weather. For me, spring break is a time to relax and escape from the people, drama and the little town of Nicholasville. If you go to the typical spring break location sites, you might not be so lucky. When it comes to hot spots, many families and friends fly to Siesta Keys, Florida, located on the West Coast of Florida. According to bayoaksonsiestakey.com, this white sandy beach is the number one beach in America. The beach is gigantic with beautiful blue water and soft white sand. Another popular location is also in Florida: Panama City Beach. It is a city in Bay County on the Gulf of Mexico coast. According to visitpcfla.com, Panama City Beach’s slogan is “The World’s Most Beautiful Beaches” due to the unique sugar-white sandy beaches of northwest Florida. Panama City Beach has always been a popular vacation destination for people living in the southern United States. The city is a very popular spring break destination and is even referred to as “The Spring Break Capital of the World.” This is due to the 100,000 or more high school and college students who arrive during the months of March and April. Or perhaps you want to travel to Cancun, Mexico. Cancun is a city in southeastern Mexico. It is major world-renowned tourist destination. According to cancuntravel.com, you will never run out of things to do during your vacation. You can enjoy water sports, golf courses, one of their world renowned eco-parks or just lie back and relax at one of their fabulous spas. No matter what you do for spring break – whether you stay in town, venture down south, or go somewhere colder – make it fun and make it memorable. 1. First, start off with one tablespoon of yogurt. Make sure the yogurt is at the bottom of the cup and you have enough room for the other ingredients. 2. You will need to put ice into your smoothie next. You can add more or less depending on how thick you want your smoothie to be. The more ice there is, the thicker the smoothie will be. 3. Add your fruit in the cup and fill it up halfway. 5. Blend your smoothie and serve! Smoothies make the best choice for breakfast food in the morning, so instead of grabbing something that slows you down or even skipping breakfast, try using these five easy steps to making a healthy smoothie. Gather you ingredients, put them in your cup and blend! It’s the simplest way to give yourself the boost you need to go on with your day! Every year on April 1, millions of pranks are pulled. This is how they usually work: “Hey Mom, I failed my senior year!” or, “Hey Dad, I accidently ran your car into a pole when I borrowed it earlier.” When you come up with your joke, you wait for a reaction. Usually the person has forgotten that it is April Fools, so they either get mad, sad or a deadly mixture of both. After the reaction, you say, “April Fools!” Everything should be back to normal by that time, but it sure is funny to see or hear their reaction. A very popular April Fools joke is actually pulling the “Hey, I’m pregnant!” The reaction for that one can go very bad, or just semi bad- either way, it probably won’t go well. Another popular April Fools joke is “I got fired from work today; I’m on my way home.” This one is an easier joke to get away with if the person you are telling the joke to is mad. Whatever you decide to do for your prank, it will probably be extremely entertaining. Just remember to keep people’s feelings in mind, and if the person is sensitive to jokes, it probably wouldn’t be a good idea to pull a prank on them. Remember to think about your joke for April 1, and have fun with it! It’s no secret Flappy Bird was the most addicting and frustrating game that has ever been on the app store. The simplicity of it is genius: you tap the screen to fly a small bird in between pipes. Somehow, the bird always hits the pipe. You could be 10 feet away and “pow”…… “GAME OVER”. For some, this “GAME OVER” may be for good! On Feb. 9, Flappy Bird creator Dong Nguyen tweeted, “I am sorry ‘Flappy Bird’ users, 22 hours from now, I will take ‘Flappy Bird’ down. I cannot take this anymore.” Apparently, it wasn’t worth the $50,000 a day he made from revenue to keep it running. The result devastated America, as well as the rest of the world, as Apple demanded Nguyen take down Flappy Bird and dated Flappy’s tombstone. Some people are still desperate to have they game but didn’t download it in time. They need not worry though…. There is a logical solution. A few who downloaded the game have taken the initiation to ensure people can still get this game. Just go on eBay and you can buy an iPhone with Flappy Bird downloaded on it for the “low, one time offer” of up to 100K (That’s right…. $100,000). Some have sold for $5,000 already, but as of today, no $100,000 purchases have been made. The other option is to download games similar to Flappy Bird like Splashy Fish or Iron Pants. 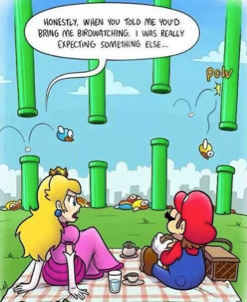 And if you’ve already downloaded it, just keep on killing that bird! Mix sugar, melted butter, peanut butter and vanilla together in a mixing bowl. Don’t be afraid to be a little messy- in my opinion, it’s much more fun to use your hands! Roll your mixture into balls. Take into account that if you want them to be a little more peanut-buttery, then make your peanut butter balls as big as your heart desires. After all your ingredients are used up and made into balls, put the plates of them in the refrigerator for at least an hour. Then, take them out and while following the directions on the Candy Quick package, dip each ball in the chocolate and roll it around with either a spoon or your finger. 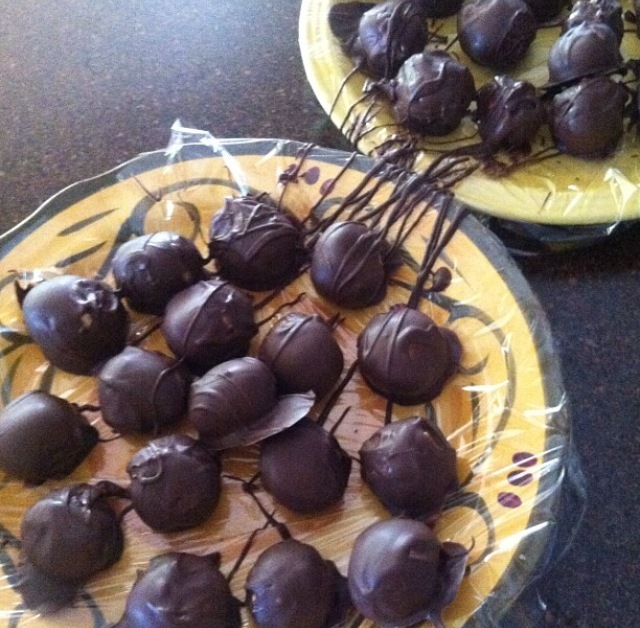 Have plates with wax paper out to put the peanut butter balls on so that chocolate won’t harden on your plates. Peanut butter balls are good for any occasion, whether it’s a holiday, someone’s birthday or even if you just have a sweet tooth. Making them isn’t hard at all and the end result makes it all worth your wild! Enjoy, friends. To have a passion is truly a beautiful thing. To find a thing, person or activity so beautiful that your mind, body and life are utterly consumed head to toe with it is real perfection. This “thing” is different for every person, and once it’s found, it is inspiring. Foster hopes to further pursue his passion at the University of Kentucky, with participation in intramural plays as often as possible. 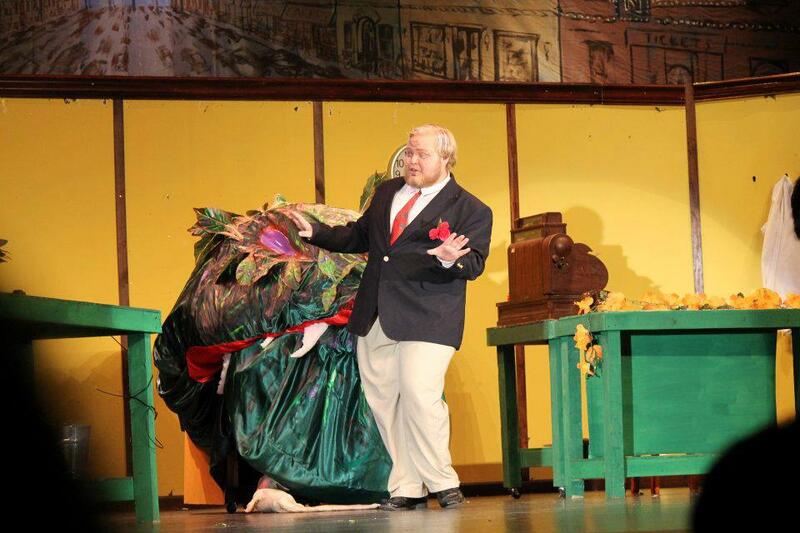 As far as his favorite musical, Hairspray takes the crown. To see his passion come to life, talk to Cody and his fellow theatre-mates. Their love for their art is prevalent and really shines through them.